The lawn is probably the only place in my property that I find less time to groom. Thanks to my very busy schedule, it is often the messiest place filled with weeds that never cease to grow from the ground. There are also rocks all over the place, making the use of a mower not feasible. Luckily, I still have a trump card under my sleeve – the brush cutter. Mine is a high-end, multi-purpose, hand-held, souped-up version of grass cutter that can hack its way through the toughest vegetation. This is quite a consolation for me because of the numerous obstacles hidden among the weeds, and the tree trunks surrounded by tall bushes. A brush cutter is pretty much what the name implies, they are meant for cutting large weeds, shrubs, and well… brush. 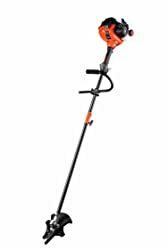 These machines are customarily much heavier than string trimmers and subsequently, pack a whole lot more power. If you’ve got heavy weeds to chop down, then the brush cutter is the tool for you. If like me, your lawn is also a mess, and you’re looking for the most convenient way to groom it, I will give you a review of five of the best brush cutters on the market. You don’t have to go through the trouble of doing all the research because we have done it for you. The device is arguably the best of the best brush cutters, with a multi-purpose lubrication system, its engine can incline into different angles for continuous work. The Makita Bruch Cutter has a compact design for fairly less weight of 12.1 lbs. Thus, it’s a versatile product that’s easy to use. One of my favorite feature of this amazing tool is the automatic engine decompression that gives you a quick and easy start. It also has brush cutting blades for cutting heavy brush and small trees. The dual stage air filter contains large sealing areas that are easily accessible and replaceable. Another unique feature about this tool – and one that I really like - is the drain plug and oil filling port that can be accessed easily with a view window for easy oil checking and replacement. The steel drive shaft minimizes vibrations and prolongs the tool’s work life. Makita has stood up to its reputation with this product. It starts instantly with a single or double pull (at max) and just keeps on working. The robust cord and bump feed works wonders. With its efficiency, toughness, and ease of use, it is undoubtedly the best product on this list. The HUSQVARNA 223R is a two-handled brush cutter that features a 17-inch cutting swath, anti-vibration technology, as well as quick-start system, which can make a great path along its way. The device weighs at 9.9 pounds and is the lighter version available on the market today, featuring a powerful engine of 25 cc. Also, it has an interchangeable blade and string head, which makes it a versatile device if you ever need a reason to validate your purchase. 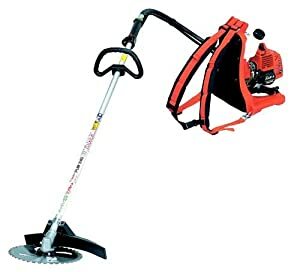 It has a two-year warranty and ranks quite high in ratings as customer favorite especially for individuals who work for long periods as well as those with huge brush areas that need to be trimmed down. Its harness is fully adjustable and enables you to carry your frame’s weight instead of through the arms. It’s been highly suggested that non-ethanol gas mixtures are utilized to prevent the engine from gumming up or adding an extra ethanol additive. If not, then you could spend more to have it serviced and to keep it operating well. This is an efficient and sturdy machine that will last for a long time. This brush cutter is surely a quality product that does serious brush cutting and lawn maintenance. That’s why it’s second our list. As a versatile and sturdy product that work efficiently for a very long time, this machine is worth the money. The REMINGTON RM2700 is a multi-purpose cutter that can transform into various landscaping tool via its easy-attachment-ready shaft. It features several extras such as pole saw, cultivator, and blower, which you can buy to utilize with this model because of a powerful engine of 27 cc armed with a quick start engine, where your efforts are better used. Also, it features an interchangeable, bump-feed, string-trimmer head that appears to hold its own weight against huge weeds and young saplings too. And for more powerful cuts, make use of its robust steel blade to trim through nearly anything that gets in the way. Since it only features a curved-handle design, it includes a supportive shoulder strap that aid with the product’s 14-pounds weight, but it’s recommended to buy a better harness to distribute the weight better evenly because it can get quite heavy ultimately. This product is good for yard maintenance and landscaping enthusiasts seeking to finish various projects that may be difficult to reach. 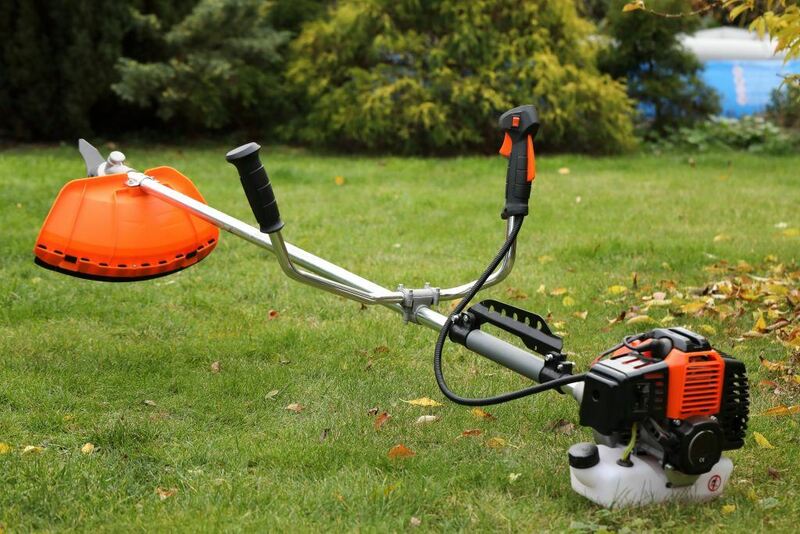 If there are irregular surfaces and rocks on your lawn, then you’d find great use in this machine. 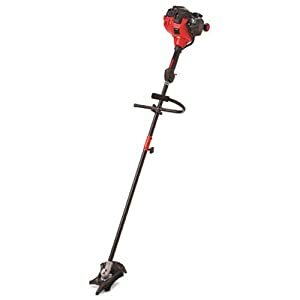 The TROY-BILT TB42 has an exceptional J-handle design which allows for left- or right-handed use and features a cutting diameter of 16 inches. Also, it is interchangeable with ten various heads to mow down anything that blocks your way because of its powerful engine of 27 cc that can be started via a jump-start system. This means that you don’t need to pull the cord many times to get the engine running. Though it is quite powerful and features a steel shaft, it can bend against heavy cuts, which it isn’t rated for, to ensure that you keep your cutting to saplings. And for basic weed control, it trims cleanly without the tangle. Additionally, if the blades ever go dull, they can easily sharpen. The main concerns surround these faulty problems, which fall under warranty and were fast and easily changed by a first-rate service department. But brand new items which only last for months or immediately show problems after only several uses can be rather irritating. This is a good product for anybody seeking to have a versatile machine that you wish to use for various landscaping uses and can support heavy work. It may not be our top choice but it’s probably the most powerful among the models. The Tanaka Bruch Cutter is a fantastic brush cutting tool with a powerful engine providing ample power for efficient work. It also has a patented starting system to reduce the power spent during startup by 50% and that makes it an easy-to-start tool. Once it starts, the steel shaft keeps the vibrations at a minimum so that maximum power is sent towards the cutting head – that is all thanks to the anti-vibration feature. The Tanaka Bruch Cutter weighs 9 pounds, making it very lightweight and convenient to use for prolonged periods. The Tanaka has a striking 60-inches long shaft, which means you don’t have to bend down when you are using it. This tool is CARB Compliant, and, therefore, more environmentally-friendly compared to other brushcutter models. What I really love about the Tanaka is the superb fuel economy. There is nothing more consoling than a machine that will help you save on fuel. The 7-year consumer warranty gives me more confidence in the product. Sometimes called string trimmers, weed eaters are hand-carry items that can cut down grassy, bushy places that your typical lawn mower haven’t reached. We are referring to the side of the home, at the flower beds, by trees, etc. Often, they make use of nylon strings in trimming down weeds, though a few models enable you to change a blade, intended for more spots with more weeds, they’re still helpful for medium or grasses only. And like any other piece of equipment, you need numerous options to choose from in terms of powering a brush cutter. There is the tried-and-tested gas powered motors, and the new electric motors. Which you think is the best depends wholly on your needs and case. A plug-in operates the cordless or electric version via a battery pack or extension cord. I find that these two versions limit in what and where the power you may require, as well as for as long as you require it. It is actually difficult to even find these because of the demand for gas-powered cutters. Gas powered cutters have more options for you to pick and can be taken wherever you need to without the need to find an electric source. Also, it can power nearly anything it’s rated for like small saplings, heavy or thick weeds, or even high, twisted grasses. Like the majority of yard maintenance products, you need to think about your choices before buying a product, and it is crucial that you know the difference beforehand. Brush cutter can either come as a gas or electric-powered model, but it can be argued that many people like the electric versions more than the gas versions. Having the best brush cutter in your tool shed will make a huge difference in your lawn maintenance. I know it made a great difference in mine. And I think you can now guess which high-end model I was using your my lawn. 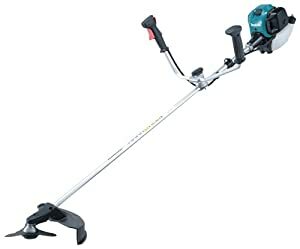 Yes, you guessed it is none other than the 4-Stroke Makita Brush Cutter. The 4-Stroke Makita Brush Cutter is tough and powerful enough to work on any lawn maintenance job. I’ve found so much convenience in using the model because of its ability to reduce fatigue on my part. Its adjustable harness makes it a comfortable tool to carry, and that has always been a big score for me. Of course, the other models on our list are also excellent, and it depends upon your preference which model will work best for you. Still, feel free to share your reasons for making a different choice – we would love to hear from you. And don’t forget to share this post with your friends. Good luck with your lawn!